MSC Cruises is a leader in the Mediterranean cruise market, with cruises departing all year round, as well as offering a wide range of seasonal itineraries in Northern Europe, including Norwegian Fjords and Baltic Capitals, the Caribbean, South America, South and West Africa, Red Sea, The United Arab Emirates and Grand Voyages. MSC Cruises combines a deep heritage at sea with an enthusiastic, young and motivated management team to present a company philosophy of "Innovation = Tradition". MSC Cruises uniquely blends maritime traditions, culture and famous Mediterranean cuisine to deliver the ultimate cruise experience while displaying a real commitment to the finest hospitality afloat. In essence, MSC Cruises has made true Italian service the heart of its business and its key point of differentiation in the cruise industry. As her name implies, MSC Armonia is a sociable ship with a real fun loving atmostphere. She’s been carefully designed to put passengers first and, make no mistake, she was built for good times! And, best of all, these good times take place against some spectacular backdrops. MSC Armonia operates some of the most interesting and fun loving itineraries of any ship in our fleet. Whether you’re cruising the clement Canary Islands in the winter months, or slipping serenely out of Venice into the Adriatic heading for the best of the Eastern Med’ in the summer, you’re always bound for enjoyment. MSC Armonia is a great ship to enjoy the company of friends and family whilst enjoying the sunshine at the external spa and swimming pool complex. And, should you find yourself over doing the fine Italian and international cuisine on offer, then you can always make redress at the gym, the Armonia Spa or why not simply dance the night away in the Starlight Disco? Aside from being thoroughly convivial, MSC Armonia is also a most comfortable ship. She offers a selection of spacious suites with private balconies and splendid views. But, the usual caveat applies: once you’ve cruised in a balcony cabin aboard MSC Armonia you’ll want to keep doing so again and again! British cruisers especially appreciate the White Lion pub where friendly service and an easy-going charm will quickly turn everyone into a ‘local’. Later on, as you leave the setting sun and another port of call in your wake it’s time to explore the many bars, lounges and, perhaps, a special evening at the Teatro La Fenice? Whatever you do and wherever you go aboard MSC Armonia, a happy and harmonious cruise comes as standard! MSC Bellissima will offer a stunning array of features to rival those of her sister ship, MSC Meraviglia. First of all, innovative MSC for Me technology provides an enhanced onboard experience, connecting you to your fellow guests, the crew and the ship itself. The two-deck inside promenade features a spectacular 260-foot-long LED dome, and is lined with places to shop, eat and drink. There are 20 bars and 10 restaurants to choose from, including specialty restaurants. For entertainment, you can enjoy 2 brand new Cirque du Soleil® shows designed especially for MSC Bellissima, and relax in the desert themed Water Park - an oasis for kids and families. MSC Divina is home to a variety of sports, leisure facilities and world-class entertainment, including Kids and Teen Clubs to ensure that everyone makes the most of their time on board. Inspired by Sophia Loren, the ship is stylish, luxurious and elegant, bringing you all the glitz and glamour of the golden age of cruise. MSC Divina boasts a real stone piazza, a Casino Veneziano and Broadway-style Pantheon Theatre. From the elegant Swarovski crystal staircases to the breathtaking Infinity Pool at the back of the ship, the ship is undeniably glamorous. Discover the exclusive ship-within-a-ship on board MSC Divina that is MSC Yacht Club with its 24-hour Butler service and Concierge. There is even a Sophia Loren Royal Suite on deck 16, designed with the help of the screen siren herself. The suite includes stunning photographs of Ms Loren’s most memorable roles and even a replica of her dressing table so that guests can prepare themselves in style. A wealth of wellness treatments await in the relaxing atmosphere of the MSC Aurea Spa. Or why not relax outside on the sun-drenched, adult-only Top 18 sun-deck with stunning sea views, a dedicated spa service and a bar menu with complimentary fruit skewers. At the heart of MSC Fantasia you will find a real stone piazza complete with espresso bar serving freshly-baked pastries and authentic gelato - the perfect place to recharge the batteries before exploring the chic boutiques and duty-free shops nearby. Enjoy the cosmopolitan atmosphere of our lounge bars with various types of entertainment. These include a piano bar, jazz bar and Sports Bar with videogames and live event screenings. The restaurants offer an unforgettable dining experience from the grand main restaurant Il Cerchio d’Oro and the intimate Red Velvet with to El Sombrero’s Tex-Mex and margaritas. There’s a massive range of sports facilities available from tennis, basketball, mini-golf, a jogging track and gym to the Aqua Park Pool Complex and thrilling worlds of the Formula 1 simulator and 4D Cinema. If you are looking to escape it all then look no further than the Top 18 sun deck or the calming MSC Aurea Spa. Children are also well-looked after with fantastic Kids and Teen zones to keep everyone happy. The ultimate in luxury on board MSC Fantasia is the exclusive MSC Yacht Club, a unique ship-within-a-ship boasting its own Concierge Reception, 24-hour butler service, private lounge and pool deck. Building on her sisters ships success, MSC Grandiosa offers even more public space than her sister ships, along with a series of exciting innovations. Cirque du soleil at Sea has created 2 brand new shows exclusively for MSC Grandiosa, which you can enjoy in a high-tech lounge while savouring a superb culinary experience. And if you choose the Aurea Experience, you’ll appreciate the pleasures of flexible dining and unlimited drinks in a dedicated restaurant. There is a relaxed atmosphere on board aided by the elegant interiors and unimpeded ocean views from the lounges’ floor-to-ceiling windows. There are plenty of lounges and bars to enjoy a pre-dinner or pre-theatre drink including the swish Beverly Hills Bar and traditional English-style Lord Nelson Pub and the Broadway Theatre plays host to jaw-dropping entertainment 6 nights a week. Spacious new cabins with balconies offering superb panoramic views and we have enlarged the restaurant and buffet areasto serve up an even greater variety of culinary treats. Combining the relaxed sophistication of the Musica Class with the variety and opulence of our Fantasia Class ships, MSC Magnifica brings cruise guests the best of both worlds. The superb venues on this ship spoil you for choice and include 5 gourmet restaurants serving food from around the world,12 bars and 5 different Kids and Teens clubs with their own themed venues. The ship’s award-winning MSC Aurea Spa brings you traditional Balinese massages and ultramodern beauty treatments: a sauna, Turkish bath, fitness centre, thalassotherapy room and relaxation area. The leisure facilities are no less impressive, with an open-air pool complex, 4 whirlpools, a solarium and a sky lit indoor pool with retractable roof, allowing you to enjoy perfect bathing whatever the weather. For something more energetic there is tennis, mini-golf, a high-tech gym and a jogging track as well as 10-pin bowling and billiards. The entertainment continues into the evening with a spectacular casino, panoramic disco, 4D cinema, internet café, cigar lounge, plush 1,200 seat theatre and live entertainment in the bar lounges. For a quieter evening step out onto the deck for a romantic drink under the stars and watch the waves go by. MSC Meraviglia is packed with extraordinary features that offer the perfect experience at sea in every season. On board you can enjoy outstanding, authentic dining options and out-of-this-world entertainment with new panoramic areas, an innovative ocean-view aft lounge, a two-deck "inside promenade" with a 480 square metres LED dome and a spectacular amusement area connected to an outdoor water park. As soon as you step on board MSC Musica you are met by the stunning central foyer’s three-tier waterfall and it’s transparent piano, suspended above the water on a crystal floor. The designer venues on board are equally as stunning, whether you’re dancing to a band in the dazzling Crystal Lounge, enjoying a cigar in the stylish Havana Club cigar lounge, treating yourself to a wine tasting, trying your luck in the Sanremo Casino or enjoying a superb live show in the stunning La Scala Theatre. The cuisine on the ship is all freshly prepared allowing you to indulge in Italian specialities in Il Giardino, treat yourself at the Kaito Sushi Bar or work your way through a range of delicious, authentic Italian pizzas. Children and young adults enjoy special treatment with indoor and outdoor play areas, a pool of their own and separate Kids and Teens Clubs for their own social life on board. With its impressive array of new features and facilities, MSC Opera is now even better equipped to satisfy the needs of our guests. We’ve added spacious new cabins with balconies offering superb panoramic views and we have enlarged the restaurant and buffet areas to serve up an even greater variety of culinary treats. There is even a new 330 m² music and dance area for guests to show off their moves. Combining spacious, elegant interiors with the variety for which our Musica Class is renowned, MSC Orchestra promises your dream cruise. Because life aboard can be just what you want it to be. If relaxation is your goal, there is ample deck space to unwind in the sun on board MSC Orchestra. Alternatively, why not pay a visit to the heavenly MSC Aurea Spa with pampering Turkish baths, saunas and a whole range of soothing massages. Active types can amuse themselves in the Sports Centre with state-of-the art gym, 5 swimming pools and even a jogging track that allows you to take in the fresh sea air and stunning ocean views. MSC Orchestra also takes you on an exciting culinary journey, ranging from the Shanghai Chinese Restaurant with authentic dim sum specialties to the Four Seasons gourmet Italian dining experience and La Piazzetta, where you can taste the finest pizza outside Naples. Whether dancing to live music in the leopard-style Savannah Bar, tempting lady luck in the Palm Beach Casino or catching a spectacular show in the Covent Garden Theatre the entertainment on board will keep you amused all night. Children can go wild in the Jungle Adventure playroom while teens get their own Teen’s Club. Whatever your age you can guarantee you’ll have the holiday of a lifetime on board MSC Orchestra. MSC Poesia is an innovative cruise ship with elegant style that brings traditional craftsmanship to creative designs. From the spectacular foyer waterfall to the Zen Garden, authentic Japanese Sushi bar and opulent MSC Aurea Spa, MSC Poesia is an elegant cruise ship and perfect for total relaxation. The MSC Aurea Spa has a steam room, sauna, a whole range of beauty treatments and some of the most soothing massages at sea. For our more active guests, sports and fitness activities include a basketball court, tennis court, shuffleboard, state-of-the-art gym and mini-golf. There are 3 swimming pools, 4 whirlpool baths and a giant poolside cinema screen. Children and teens are equally well looked after and have their own clubs and parties, a dedicated Stone Age and Dinosaur Play Area, access to exhilarating video games and even a DJ disco! Food is always at the heart of an MSC cruise and the cuisine on board MSC Poesia is no exception. Each dish is prepared with fresh, quality ingredients by our skilful chefs and served in the elegant surroundings of the main dining rooms Il Palladio and Le Fontane. The varied lounge bars offer wine tasting in the Grappolo d’Oro , refreshing mojitos in the Mojito cocktail bar and indulgent cigars and spirits in the cigar room. Cruise all round the world in luxury on the eco-ship MSC Preziosa, savouring the pleasures of the Mediterranean way of life. The classic design and detailed craftsmanship of our ships include a real stone piazza and spectacular features such as sweeping Swarovski crystal grand staircases and a magical ‘infinity’ pool. Award winning favourites such as the MSC Aurea Spa with beauty and wellness treatments melt the tension away. And the secluded luxury of MSC Yacht Club, a ship-within-a-ship of exclusive suites, butler service, dedicated facilities and private decks - all offer privileged access to the world-class leisure on board, including a full-gaming casinoand Broadway -scale theatre. Discover services exclusive to MSC Preziosa, like the delicious Eataly slow food gastronomy, the adults-only sun deck complete with spa treatments and the Tiki bar for kids and teens. From the splash-packed fun and games of the Doremi Castle kids aqua park, to Vertigo, the longest single-rider water slide on the seas, awarded ‘Best Innovation’ by Cruise International in 2013, there’s every facility for kids and teens. The Galaxy restaurant open-kitchen boasts delicious all-day dining and a panoramic disco that keeps the beat ‘til late ensures the fun continues into the evening. There’s all this and more to discover at your own pace on the MSC Preziosa cruise line, living in the Mediterranean style and enjoying every moment to the full as you voyage to the most beautiful places on earth across the seas. MSC Seaview rewrites the rule book of cruise ship design, blending indoor and outdoor areas to connect you with the sea like never before. Circling the ship as low as Deck 7 is a unique seafront promenade lined with places to eat, drink, shop, swim and sunbathe. And you can enjoy superb views from the two glass-floored catwalks and panoramic elevators. Given some of the cruise leviathans currently plying the oceans, MSC Sinfonia is not a large ship; yet her 9 passengers decks and 250 metre length accommodate an awful lot of comfort and quality for her guests. More important than sheer scale is good design and MSC Sinfonia manages to provide many different and sympathetic moods throughout her public spaces. If you’re looking for relaxation, then make your way to Le Terme where a cleansing sauna and soothing massage await. Or, for something more active, the same facility on Debussy deck boasts a fully equipped gym too. And, whilst you’re away, why not perfect that golf swing with a state-of-the-art Virtual Golf Simulator that’s perfect for beginners and seasoned professionals too. But, if this is all too serious for you, why not enjoy a spot of mini-golf or traditional deck games – a great way to get all the family involved and meet new friends! 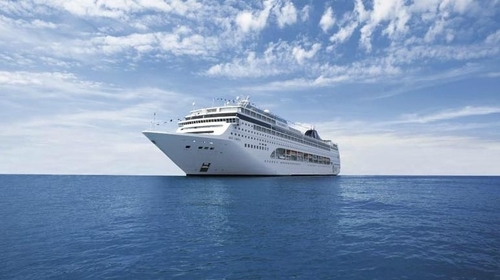 Whether you’re cruising in the Med’ or South Africa the sea air tends to stimulate the appetite and therefore, aside from the fine cuisine that you’ll find in the restaurants, you’ll find plenty to keep body and soul together in the plush Café Le Baroque and from the bright, modern La Terrazza Buffet. Of course there are plenty of excellent bars whilst the Irish Pub, Shelagh’s House, will make British cruisers feel right at home! MSC Splendida carries you in stylish luxury to the most desirable cruise destinations in the world. 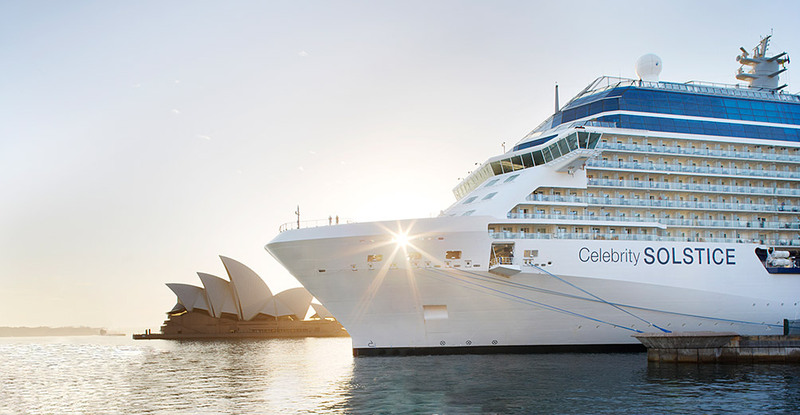 You’ll love the live music and wide variety of bars and restaurants on board. Food choices to explore include authentic Mediterranean specialities and spicy Tex-Mex. Complete the night with a world-class show in The Strand Theatre, a winning streak in the Royal Palm Casino or dancing ‘til dawn in the Club 33 Disco. We’ve got fitness and sport covered with four swimming pools, a squash court, volleyball court, ultramodern gym and even a running track, allowing you to take in the stunning ocean views and refreshing sea breeze. For those looking to relax, head to the MSC Aurea Spa where you will find pampering Balinese massages, a range of beauty treatments, a Turkish bath, sauna, whirlpool and solarium. There is also the option to sunbathe in peace on the Top 18 sun deck, located at the top of the ship, where complimentary, refreshing fruit skewers and a thirst-quenching bar menu will keep you cool all day. And while you are topping up your tan, the Kids and Teens can enjoy fabulous facilities and clubs of their own. The foredecks of the ship are home to the exclusive MSC Yacht Club, a luxurious ship-within-a-ship with 71 spacious suites, its own Concierge Reception, 24-hour butler service, private Top Sail Lounge, pool deck and bar. MSC Virtuosa’s namesake comes from the word virtuoso, meaning someone highly skilled in music. Each deck will, in fact, be named after a different musical instrument. This new cruise ship will be one of the two largest in MSC Cruises’ fleet, along with her sister ship MSC Grandiosa. One of the highlights of MSC Virtuosa’s onboard entertainment will be the two brand new Cirque du Soleil at Sea shows, created exclusively for MSC Cruises’ guests. MSC Virtuosa gives guests the best experience with its expanding digital offer, spearheaded by MSC for Me and our digital cruise assistant, Zoe. The Mediterranean gave birth to the Renaissance, the great cultural, intellectual, artistic, scientific and spiritual explosion whose energy lit all Europe and ended a thousand years of dark ages. Whether you are dreaming of unwinding on sun-baked beaches or contemplating art in Museums, our Mediterranean itineraries will transport you to the hidden corners of history, culture and nature. Sprawling beaches, rustic villages, ancient ruins and sophisticated cities are just some of the infinite possibilities revealed. MSC cruises offers a choice of excursions to satisfy both your Body & Mind. Optional half day and full day trips may include a walking tour through Capri, a cable car ride over Funchal, shopping in Barcelona, catamarans in Palma de Mallarco or a theatrical show in Odessa. Remote beaches and opulent palaces, modest fishing towns and glamorous international jetsetters are just some of the possibilities available to you during an MSC cruise. From breakfast in the morning to the midnight buffet, there are several dining options available on board. Have brunch delivered to the privacy of your stateroom, enjoy a casual outdoor lunch by the pool from the grill or pizzeria and sample a variety of snacks during the afternoon and evening. Dinner is always a special occasion, the Italian meal itself is an art form! Traditional Italian cuisine is home cooking, la cucina casalinga, amateur cooking, from amare, cooking with love. Like our warm service, the spirit of our cuisine is always hospitable. During our renowned seven-course dinner menu, experience the zest of flavours and gaiety of colours from an authentic Mediterranean cucina garlic, olives, basil, red pepper and tomatoes in our traditional family recipes. Our well-trained dining staff serves regional specialties creatively prepared from scratch by our chefs as well as classic favourites. Wine connoisseurs will savour the selections or cap dinner off with a cappuccino or espresso. Afterwards, dessert! From Italian treats of tiramisu and cannolis to your favourite cakes, pastries and tarts! If you are celebrating a special occasion like a birthday, retirement, honeymoon or anniversary, do it with classic operatic drama: a cake, some bubbly and an Italian serenade. What to do, what to do? Each day brings different activities. Sleep in or wake up early. Stroll around the deck or run on the jogging track. Get refreshed with a swim or relaxed in the whirlpool. Work out at the gym or try out one of the aerobic and step classes offered on board. Join in a game of cards, table tennis or shuffleboard or play a game of tennis or volleyball. The library is stocked with books for your perusal. Our cinema features recently released and classic movies. There is the Internet Cafe to email friends and family with updates throughout your journey, duty-free shopping boutiques, a video arcade and a card room or you can enjoy the simple pleasure of lounging on a deck chair under the warmth of the sun sipping tropical drinks. After dinner, let MSC Cruises entertain you. The lounges have bands playing music for all tastes from pianists and string quartets to pop, rock and oldies. Many of our nightly shows have an accent of the Mediterranean, vivid Flamenco dancers from Spain or historical glances back to Old Europe. Next, it's time for Vegas. We'll keep your glass filled as you test your luck with poker, roulette or blackjack in the casino. After a visit to the midnight buffet for a late-night snack, have one more dance or slip away to the privacy of your stateroom with the promise of another perfect day ahead. Pampering is all about choices. Have a healthy or hearty breakfast. Lounge around the deck leisurely or hit the courts competitively. Take advantage of our spa services to get completely revitalized, restored and refreshed. Maintain your regular fitness program. Our fitness coordinators will gladly show you around the jogging track, the swimming pools and guide you through the workout room’s free weights, treadmills, stationary bikes and other strength and endurance equipment. Our fitness programs, led by certified instructors, have a daily schedule of classes such as aerobics, stretch and yoga as well as toning classes that zone in on specific spots including the mind. Get the full beauty treatment with a haircut or manicure & pedicure from our salon. Dig a little deeper with muscle and mind-melting massages to relax from top to bottom. Purify and balance your skin with intensive complexion-cleansing facials that exfoliate, extract and hydrate. Sink into the jacuzzi or slip into the sauna or step into the steam room for a few minutes to help dissolve any tension that remains. Stimulate your intellect with our enrichment-at-sea programs. You do not need to be on land to make discoveries and learn something new on a cruise. From Italian language lessons to guest lectures on a variety of topics, computer program or Internet lessons to cooking classes, we offer a host of educational and informational seminars and classes. We have guest lecturers on board every cruise, experts in various industries, respected historians, academics, artists, writers and musicians. The discussion might be on foreign films, art history, architecture, design, literature, health, current events or food and wine. Our educational programs are challenging, instructive and take place in any student's dream classroom setting. This website is created by the Royal Automobile Club of WA (Inc.). © 2014 The Royal Automobile Club of WA(Inc.).